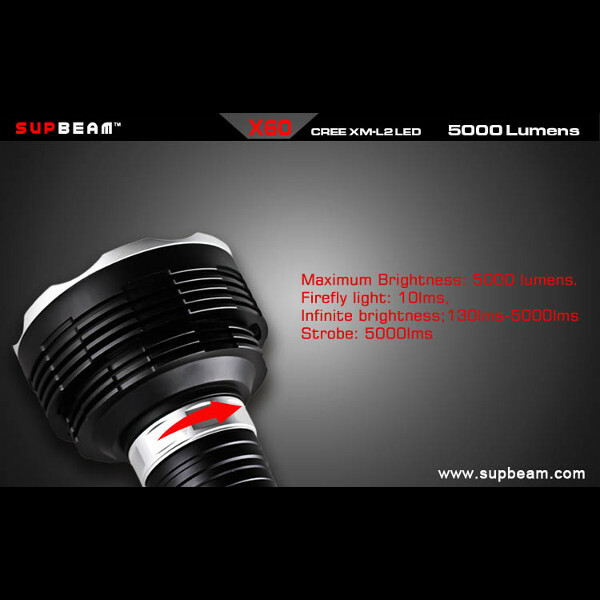 4,Highly focused beam for maximum distance. 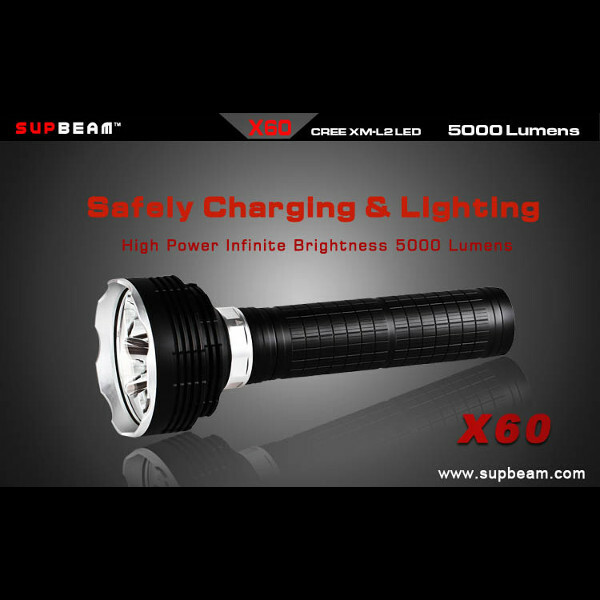 3.If you do not use the flashlight for a long time , please take out the batteries from the flashlight ,some poor batteries may leak and damage the flashlight. 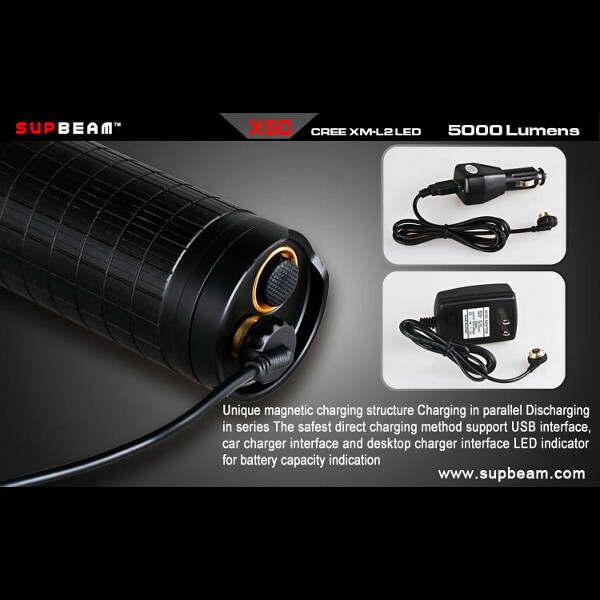 4.If you store the rechargeable batteries for a long time , we suggest you conduct a charging-discharging operation every three month , so as to extend the lifetime of batteries. 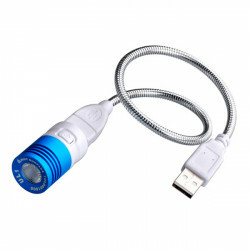 5.Please do not use metal objects to contact the positive and negative electrode of the USB charging line to avoid short circult and damage the charging device. 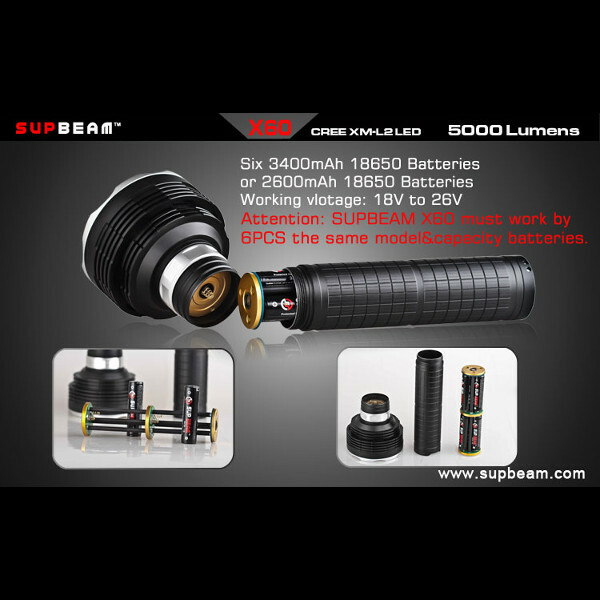 6.For rechargeable lithium battery, there are inevitable differences in the production process, which determine charge a single lithium battery each time is safest way. 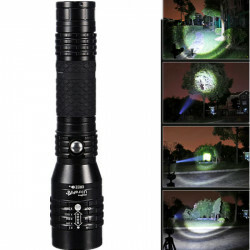 7.For most direct charging flashlights in the market, the batteries are charged in series with a constant voltage of 12.6V, if any one of the three battery break down,this 12.6V constant voltage will be diverted to the remaining two batteries , which may caused cause explosion due to overheating. 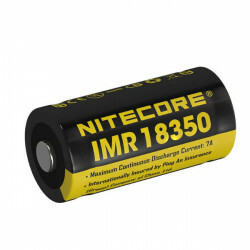 a: on the basis of not changing the structure of the battery carrier to supply power in series, through internal intelligent electronic switches,the flashlight can automatically convert the serial circuit into parallel charging state when a charging process is detected,three batteries will be charged in parallel at constant voltage 4.2V (accuracy of 1%), and single battery at 0.5A constant current. 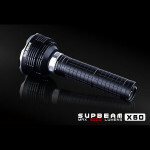 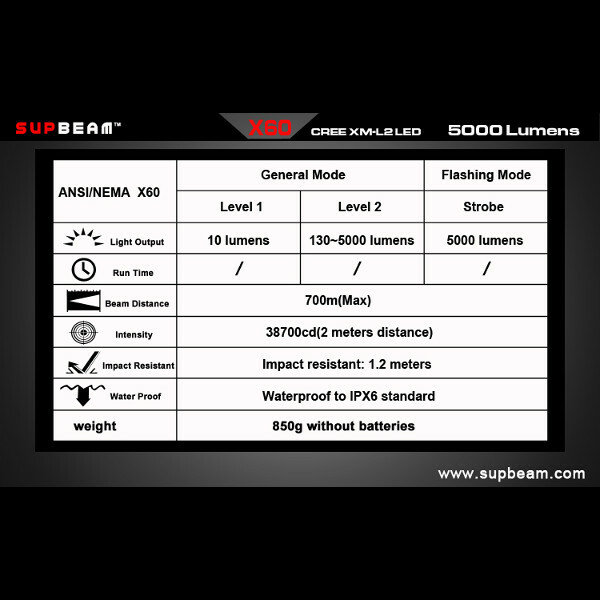 b: Supbeam X60 have the overheat automatic adjustment function, when it detects that any of the batteries is faulty, it will automatically stop charge the faulty battery . 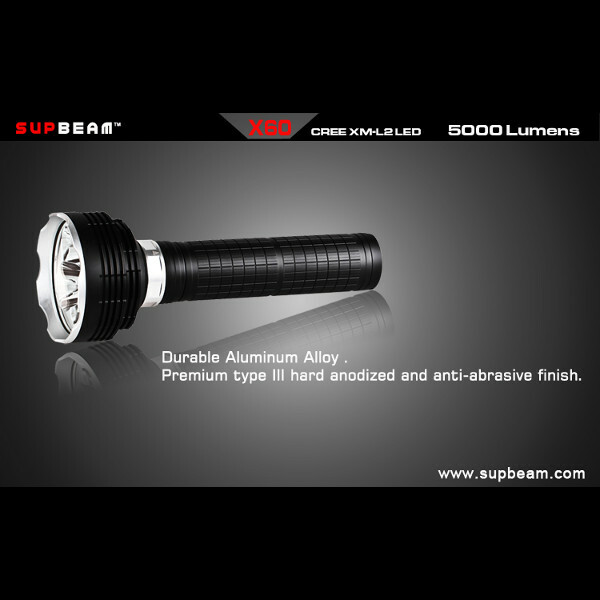 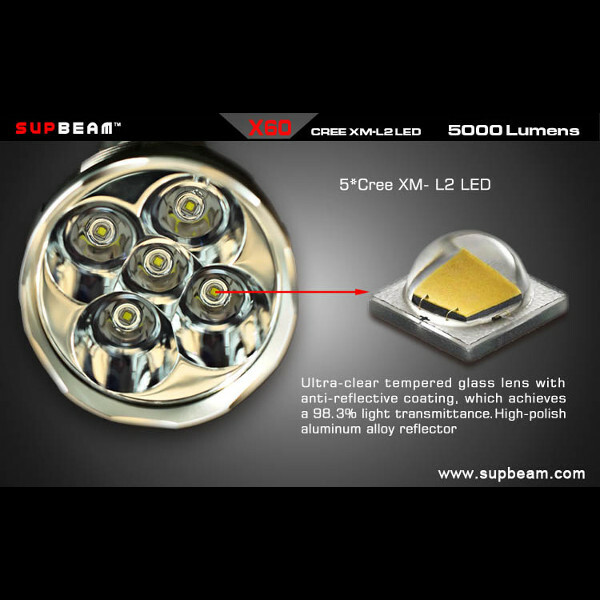 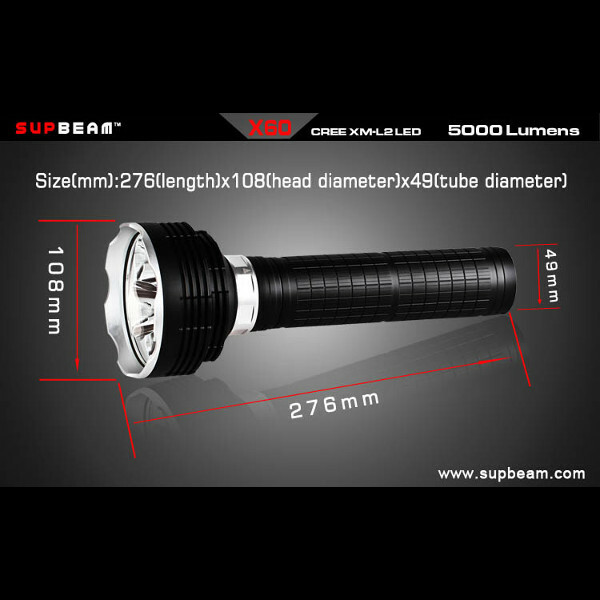 10.Supbeam X60 stays on the cutting edge of technology with the latest Cree XM-L2 LED combined with a safe and very convenient contact-charging method achieved by automatic magnetic force. 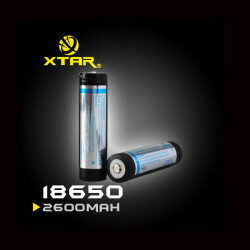 Specification: Brand: XTAR Model:18650 Type:Lithium Ion Capacity:2600mAh Voltage: 3.7V..
Specification:Product name: Ultrafire CREE XM-L T6 2000lm led fla..